Equip only to a Level 8 or higher Dragon-Type Synchro Monster. Twice per turn, it cannot be destroyed by battle. 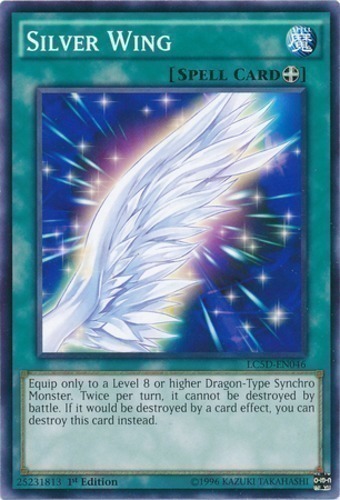 If it would be destroyed by a card effect, you can destroy this card instead.